A shortage of school bus drivers has busing companies and school administrators scrambling to get students where they need to be. Tom Burr is one of those scrambling administrators. 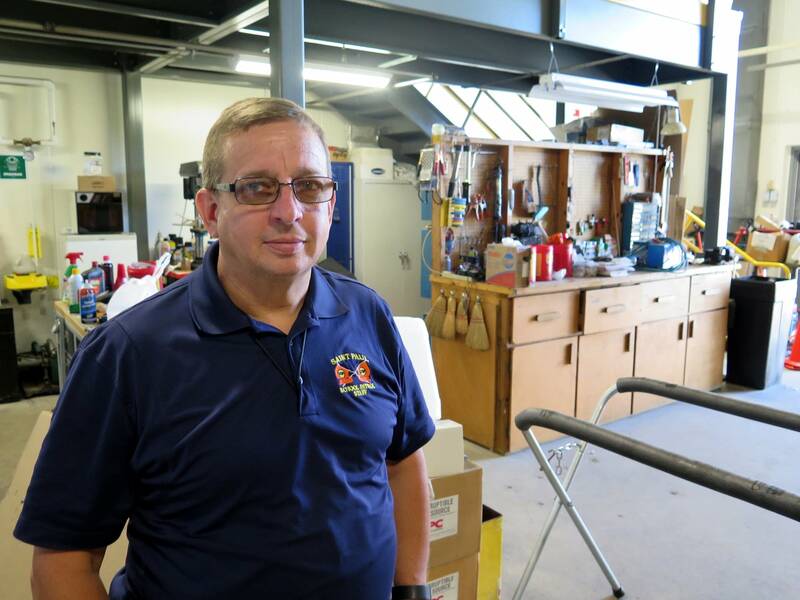 He's in charge of transportation for the St. Paul school district — and he seems remarkably composed considering the workplace challenges he faces every weekday at the crack of dawn. "For instance, Friday we received a call from one of our contractors saying that they were three drivers short. This was at 6:15," he said. "We're struggling trying to get everybody to where they want to go on time." Burr's responsible for moving 32,000 students on 350 bus routes — a complex job even without a driver shortage. Now he's trying to do it when the operation is 15 to 20 percent short on drivers. "It's kind of a domino effect. We're backfilling people, drivers, with typically full-time staff — mechanics, dispatchers, trainers," Burr said. And it's not just a problem in St. Paul. 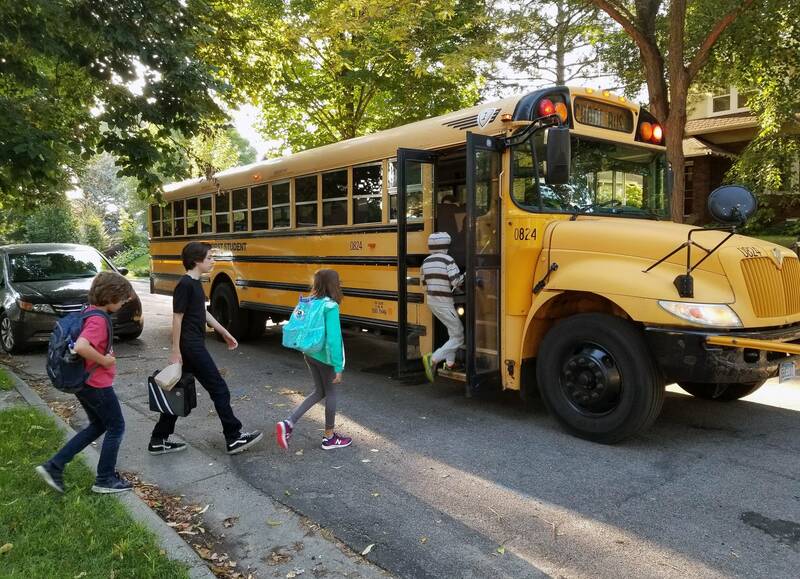 The strong economy and low unemployment are making it harder than ever to find bus drivers throughout much of Minnesota, said Shelly Jonas with the Minnesota School Bus Operators Association. The group represents 130 private school bus companies that run 6,000 school buses around the state. "A lot of our members have said their old ways of getting drivers — putting out signs and newspapers ads, just don't attract the new hires anymore," she said. So bus companies are getting more aggressive courting potential drivers. "A lot of early retirees. A lot of parents who maybe want to stay on the same schedule as their kids. People that have flexible jobs like maybe real estate or if they're self-employed," she said. 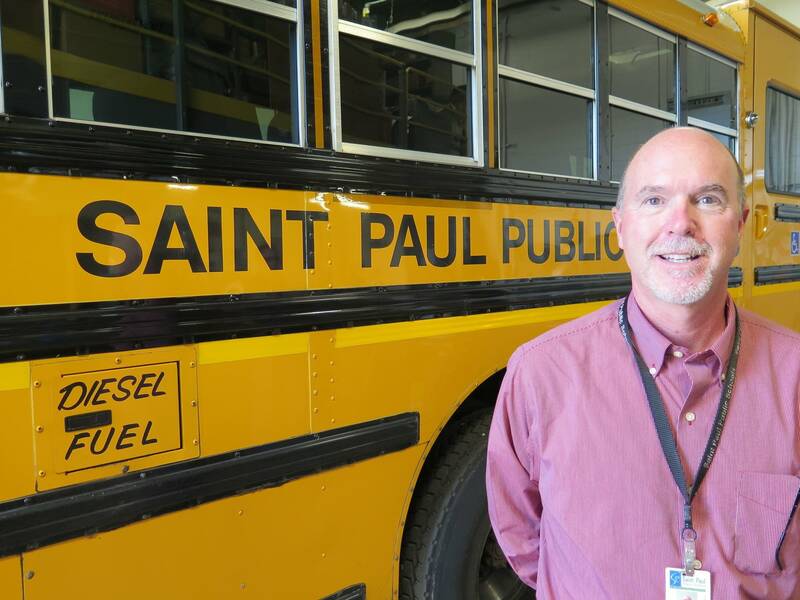 Among those pitching in behind the school bus wheel in St. Paul is Dan Stroeing who oversees maintenance of the bus fleet. Stroeing said he doesn't mind the additional duty. "I like getting out and see what's going on in the city and stuff," he said. As bus companies struggle to fill jobs, the patchwork of fill-ins unfamiliar with their routes results in more wrong turns and late arrivals, testing the patience of all involved. "Parents really are more comfortable if they see the same driver every day and in these particular circumstances we have trouble with providing that service," said Burr. One week into the new school year Burr says operations are going relatively well, despite the driver shortage. He also wants to assure people that school buses are running safely even though they may be behind schedule. "Our system is still very safe, yet there are some bumps along the road that we have to deal with, with the driver shortage."